French service provider Bouygues Telecom has made a raft of new management appointments following last November’s naming of Olivier Roussat as president and Richard Viel as CEO, including the naming of founder Martin Bouygues’ son Edward as director of strategy. Edward Bouygues, who was previously head of Réseau Clubs Bouygues Telecom (RCBT), the group’s point-of-sale network, will also become a member of the management committee of the company. Bouygues will be succeeded as head of RCBT by Régis van Brussel, previously director of commercial development for residential customers. Other appointments include the naming of Chrystel Abadie-Truchet as head of commercial and clients, integrating all sales channels in a single structure. The role is an extension of her previous position as director of commercial. Aurélie Stock-Poeuf , previously head of strategy, becomes head of digital, while Alain Angerame, previously in charge of customer relations, becomes head of a new unit dedicated to the customer and partner experience. Bouygues Telecom has been the subject of consolidation efforts to reduce the big four French telcos to three over the past few years, but none have come to fruition. A plan to merge with Orange in 2016 came to nothing. Martin Bouygues engaged in discussion with Patrick Drahi in 2018 around a possible combination of Bouygues Telecom and Altice France/SFR, before pulling back. 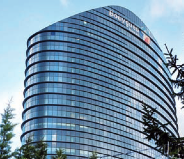 However, Bouygues has strengthened its position in the market over the last few years, with CEO Roussat telling radio station France Inter in November that four players was sustainable for the company. More recent speculation has focused on a combination of Bouygues with Iliad Telecom/Free, whose fortunes have dipped, in contrast with Bouygues. Last week, speculation turned to a possible combination of Free and SFR after Dexter Goei, president of Altice, and Thomas Reynaud, CEO of Free, were spotted dining together in a Paris restaurant.